Remitly, which was founded in 2011, makes it possible for people in the U.S., the U.K. and Canada to send money through a mobile app to friends and relatives in 10 countries. The new investment will help Remitly expand its reach around the world and offer more services. 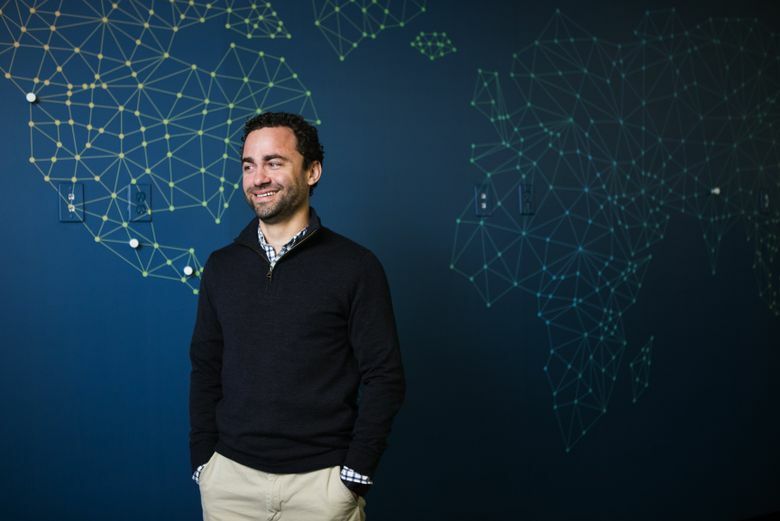 Seattle mobile finance startup Remitly has netted $115 million from investors — one of the region’s largest tech investments of the year — to fund the expansion of its remittances technology to more parts of the world. The round was led by PayU, the investment arm of South African firm Naspers. PayU operates a payment-processing system out of its Holland headquarters. Remitly, which was founded in 2011, makes it possible for people in the U.S., U.K. and Canada to send money through a mobile app to friends and relatives in 10 countries around the world. The goal is to make it easier and less expensive for people to send money from developed countries to developing ones, and is often used by immigrants to send money home. Remitly has grown from 150 employees a year ago to more than 400 now, including 150 in Seattle. Many of the new hires work in one of four customer-service centers in Seattle, Manila, London and Nicaragua, founder and CEO Matt Oppenheimer said. Partnering with PayU will give Remitly more insight into the overall payments market, Oppenheimer said, and the team will work on expanding its existing technology and bringing it to new markets. “We are truly just getting started in the realm of remittances,” Oppenheimer said. About $575 billion globally was sent in remittances to developing countries last year, according to The World Bank — $4 billion of that was sent by Remitly customers. So far, the company has focused on regions with the highest concentration of remittances. Most money is sent from the U.S. and popular recipients are India, the Philippines and Mexico. Other countries where Remitly sends remittances are Colombia, Ecuador, El Salvador, Guatemala, Honduras, Nicaragua and Peru. Eventually, Oppenheimer wants the service to expand around the world and offer additional financial services that make money transfer and management easier for immigrants. Remitly has raised more than $150 million in equity financing since its founding. Existing investors Stripes Group, DFJ and DN Capital also participated in this round of funding.